A reputable and experienced overhead crane manufacturer can work with you to design and install an overhead crane that meets your lifting requirements and fits in your existing building structure. When it comes down to it, installing an overhead crane system into an existing building structure is a completely different process than installing a crane into a new construction facility. With a new construction installation, the building’s support structure, layout, plumbing, electrical/lighting, HVAC and duct work can all be designed so that they don’t interfere with the installation and operation of an overhead crane. The installation window can be more flexible because you don’t have to worry about affecting production. Unfortunately, most crane installations don’t occur in a brand new facility with a flexible installation time frame and a blank slate to design and build the structure around the crane itself. In most cases, the design and engineering team has to retrofit an overhead crane and its support structure into a space that wasn’t originally designed for a crane system. To further complicate things, production is already up and running with employees moving about and machinery and other equipment in operation—all creating obstacles for getting installation equipment and materials into the building. At Mazzella Companies, we have two crane manufacturers (Progressive Crane and FHS, Inc.) with more than 40 years of experience engineering, manufacturing, and installing overhead cranes. We work hand-in-hand with our customers to design and manage the installation process for all types of runway and crane systems with the goal to minimize disruption to existing and ongoing production. If the customer can't fully shut down their production, then the installers need to have a clear understanding of what equipment or machinery may be in operation during the course of the installation. If you ask any overhead crane manufacturer what the most important consideration is for installing an overhead crane in an existing building, they’ll tell you that it all comes down to production. The customer’s Production and Operations teams absolutely need to be on-board with the agreed-upon installation window and time frame. Because the crane is being installed in a facility where production is already operational, the installation will typically be scheduled during a total or partial production shutdown. It’s ideal for the installers to not have to worry about other machinery or equipment that might be running, or to have to worry about employees being near or in the area where the installers will be working. This increases the efficiency of the installation and also the safety for both the installers and the customer’s employees. However, it’s understandable that not all customers are willing to totally shut down their production. To prevent any disruption in production, installers can be flexible and schedule installations during weekends, 2nd or 3rd shifts, or during holiday breaks. These types of installations typically come at a higher rate than the standard hourly rate because the installers are working non-traditional hours and may have to run continual shifts to complete the installation during the desired time frame. During a JSO, the installers will come away with a clear understanding of the doorways and ramps they can utilize, and what obstacles or machinery they may need to maneuver around. Prior to the installation, the installers will visit the customer’s facility and perform a Job Site Overview (JSO). During their visit, they may rope off or mark the area where the overhead crane system will be installed and they’ll also get an understanding of the building layout. Most importantly, they need to come away with an understanding of where and how they can bring their trucks and equipment into the facility—including access to doorways and ramps that they can utilize. Will the equipment and machinery need to travel through areas where production is running? Will production shut down? Is installation occurring in a part of the building that isn’t in use yet? The installers need a clear understanding of what obstacles or machinery they need to maneuver around, and what employees, if any, will be working in those areas, so they can develop an action plan. These load surveys need to be performed by a third-party civil or structural engineer and are the responsibility of the customer to coordinate and facilitate prior to the installation. 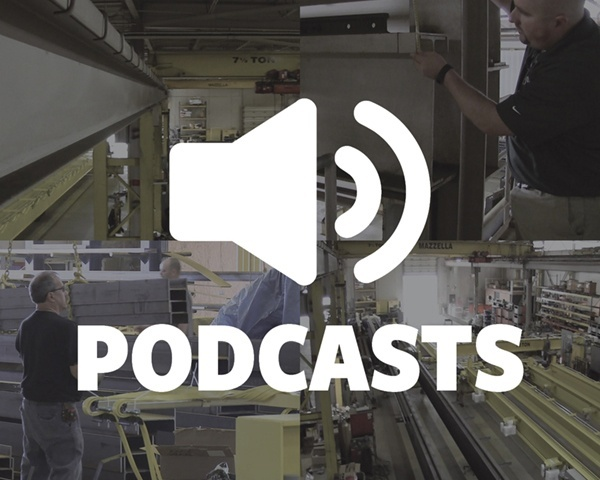 The customer, crane manufacturer, installers, and vendors all need to be on the same page to set a realistic timeline for delivery of components like hoists, trolleys, and end trucks. During the overhead crane quotation process, the Project Manager or Sales Engineer will work with their team to determine how quickly they can source the components, get them ordered, and have them delivered based on the customer’s specifications. The biggest contributing factor to whether the crane installation can happen during the customer’s preferred timeline is how quickly the main components—including the hoist, trolley, and end trucks—can get approved and how fast the supplier can ship them. Your crane company can work with their vendors to expedite or rush delivery, but those expedited fees will get passed on to the customer. Carry deck cranes, mobile cranes, other overhead cranes, boom lifts, Lull material handlers, and versa lifts can all be used over the course of an overhead crane installation. Overhead crane installers typically bring their own equipment, or rental equipment, on-site for an installation, but can use a customer’s generators, welding equipment, manlifts, Lull material lifts, or forklifts if it presents a cost-savings opportunity to the customer. However, if an agreement is reached where the installers will use the customer’s equipment, the installers require exclusive use and the customer will have to agree to forfeit use of the equipment for the duration of the installation. Each job is unique and requires its own set of equipment and machinery to lift the runway beams, bridge girders, and hoist up into the air and into their final position. Often times, the materials required for installation need to be lifted up and over existing equipment on the production floor, lowered down into a pit, raised up into a mezzanine. In some extreme cases, we’ve even cut a small hole into the roof to allow the hook block to drop through the opening to achieve greater lifting headroom. Another thing to keep in mind is that you’ll need to reserve an area on your property where the installers can stage their equipment when not in use. They’ll need a place to park flatbeds and trailers, as well as keep their mobile cranes, scissor lifts, and the support structure beams. These can be kept on open land, in a reserved area of the parking lot, or in an empty area of the building if the entry doors and building space allows it. Some facilities require contractors and vendors to have site-specific safety training, perform a background check, take drug tests, or have certified operator cards to use forklifts or manlifts. If your job site has these requirements, make sure the installers are aware so any unplanned delays don’t affect the timing and cost of the installation. In some cases, like where a background check is required, this process needs to be started several weeks in advance to ensure completion before the installation begins. What Structural Considerations Affect the Design of the Crane? The load ratings of the roof, structural beams and supports, and the flooring and foundation all need to be surveyed so the installer knows what type of equipment they can bring in and how the crane can be installed. A bridge crane can be supported by the roof/ceiling, a freestanding support system, or can be tied back to the existing building supports. In an existing building structure, you have to have a clear understanding of the load ratings for the roof, concrete and foundation, and existing building supports. To make sure the building is structurally sound to support an overhead crane system, it’s the customer’s responsibility to have their building surveyed by a third-party, or by their own building engineers, prior to the installation. A crane installer may be able to help coordinate the effort, but they will not perform the surveys or load ratings themselves. The results of these ratings can determine if the crane is supported from the roof, is a free-standing design, or can be tied back to existing supports. The deadweight of the crane, or the loads on the structure which remain fixed even when the crane is not performing a lift, need to be considered. Ceiling beams, flooring, and support beams can be reinforced with internal bracing, or can be totally redesigned to spread the load between multiple points versus a single point. Clearance space around the area that the crane will be installed in will also affect the design and specifications of the crane. If there’s low headroom in the facility, then the crane may have to be designed to be under running vs a top running design. If the crane needs to lift material high into the air, then a top running double girder design would be ideal. If hook approach on either end of the bridge is a factor, then a single girder bridge design will allow your trolley the most travel across the bridge to take advantage of the full span of the crane system. Lastly, the installers will need to have a clear understanding of the building’s voltage supply. The customer will need to confirm whether the building is equipped with a 230V or 460V electrical supply. This voltage needs to be determined prior to ordering any components such as hoists or end trucks. The load testing of the crane can be performed with a variety of materials including concrete, steel, or water weight bags. The test load should not be less than 100 percent, or more than 125 percent, of the rated load. The trip setting of hoist limit switches shall be determined by tests with an empty hook traveling in increasing speeds up to the maximum speed. The actuating mechanism of the limit switch shall be located so that it will trip the switch, under all conditions, in sufficient time to prevent contact of the hook or hook block with any part of the trolley. Test loads shall not be less than 100 percent, or more than 125 percent, of the rated load unless otherwise recommended by the manufacturer. These test reports shall be placed on file where readily available to appointed personnel. Overhead cranes can be tested using water weights or by using loads on-site. Load testing is included with any installation or crane upgrade or modernization. Lastly, once the overhead crane equipment has been tested for proper functionality, the installers will provide training to the operators and end-users on their new equipment. Training can range from a couple of hours to a couple of days—it all depends on the customer’s requirements. Most of the time, the training requirements will be written into the project specifications, so the length and thoroughness of training will be agreed-upon prior to installation. Training can be as simple as walking one operator through the basic motion controls of the crane, or it could be more in-depth focusing on troubleshooting maintenance issues for individual components and understanding and identifying diagnostics and fault codes. With so many moving pieces and parts, you’ll want to select a reputable and experienced overhead crane manufacturer to partner with for your overhead crane design and installation. As you can see, successfully installing an overhead crane into an existing building structure requires active involvement from the customer’s production and operations departments, third-party engineers and surveyors, project managers, equipment suppliers, and installation technicians. 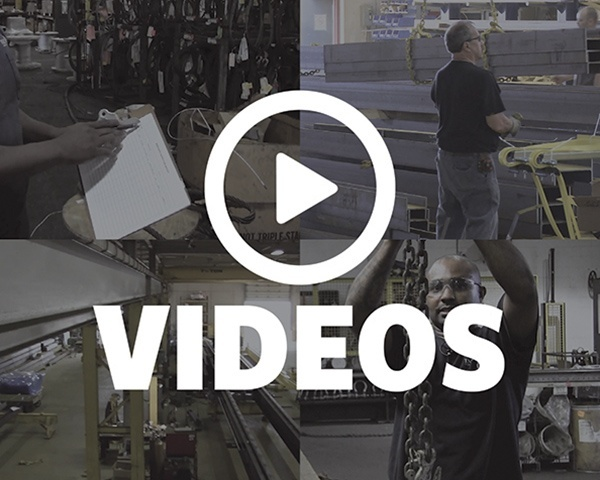 With all of these moving pieces and parts, you’ll want to select a reputable and experienced overhead crane manufacturer to partner with for your overhead crane design and installation. Progressive Crane and FHS, Inc. have over 40 years of unparalleled experience and expertise in the erection and start-up installation of cranes, electrification systems, runways, and hoists. We provide our customers with the best turn-key crane systems and offer complete installation, load testing, start up services, and operator training on every crane we sell. If you’re looking to partner with an experienced and reliable overhead crane manufacturer, or want to schedule a consultation, give us a call today. We offer free quotes and consultations on every project. 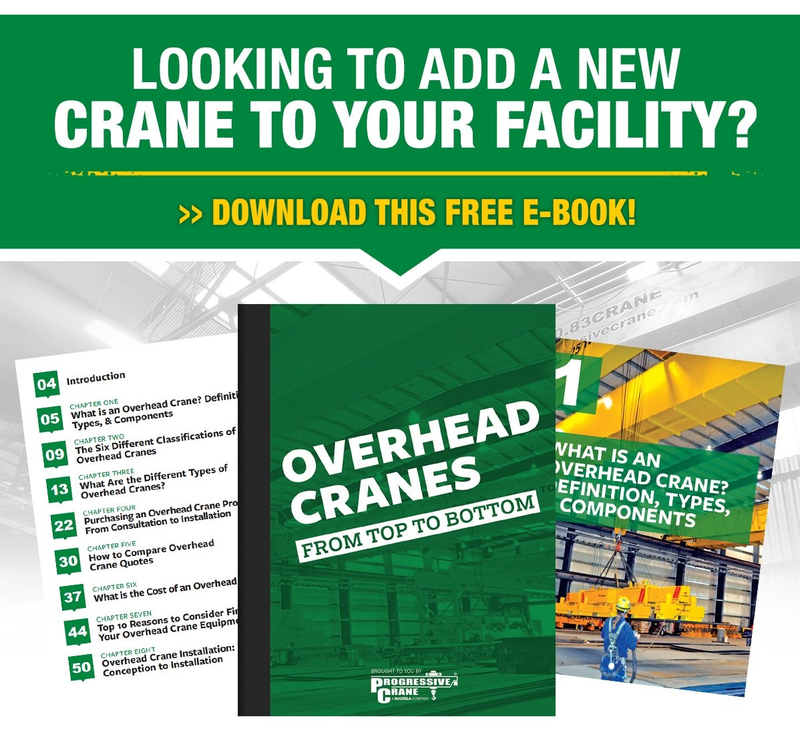 What are the Different Types of Overhead Cranes? What is the Cost of an Overhead Crane? 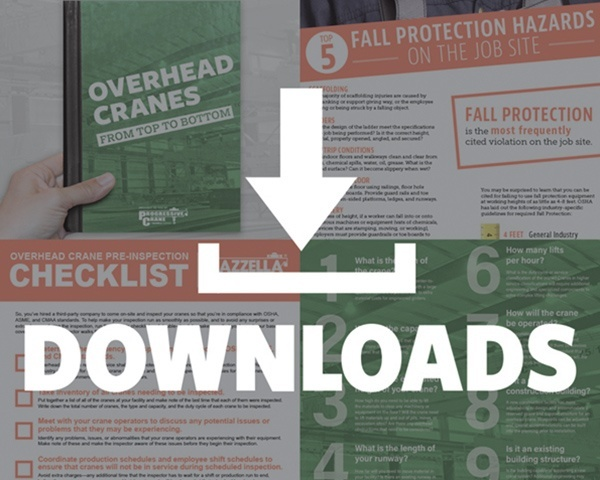 Are you interested in OSHA compliance for overhead cranes, slings, wire rope, hoists and rigging equipment? 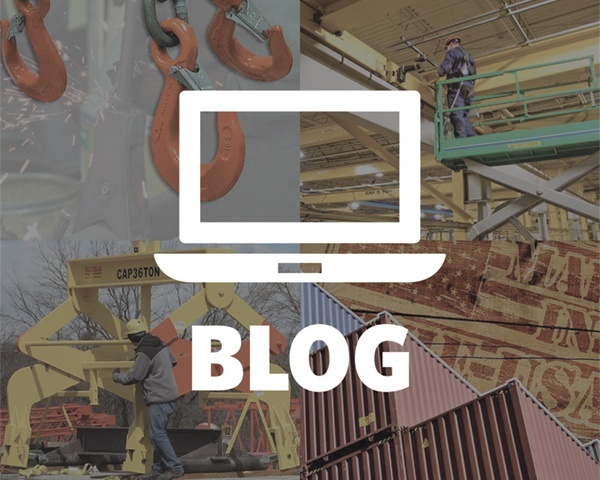 Our blog is designed to help you learn more about lifting and rigging, and keep you up to date on industry best practices. Subscribe today!